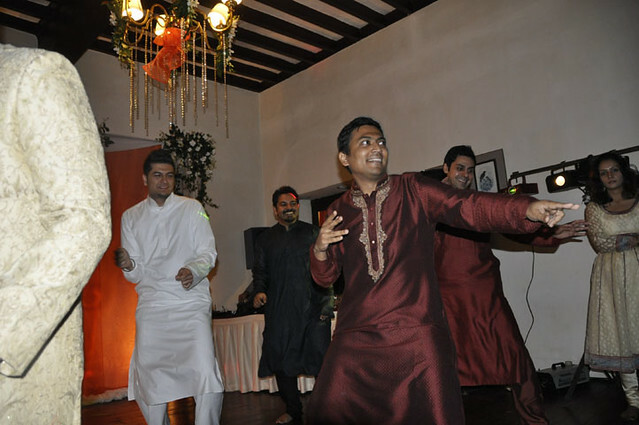 I can safely say that I have attended more Indian weddings than any other types of weddings. 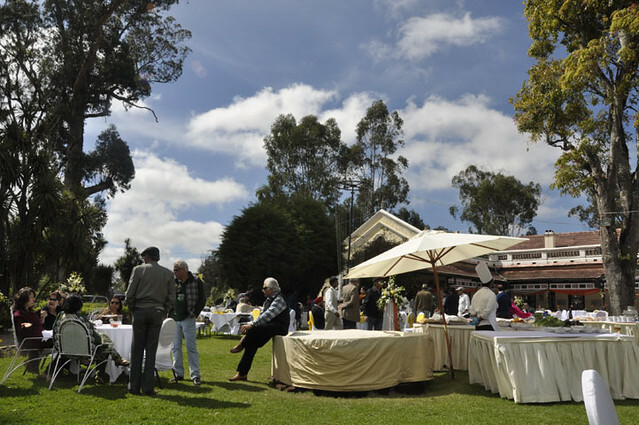 If the last Indian wedding I went to in Goa was way too hot, this Indian wedding in Ooty was slightly too cold. Nonetheless, it was beautiful and a lot of fun, despite catching a bad cold. It was a good excuse not to drink shots. 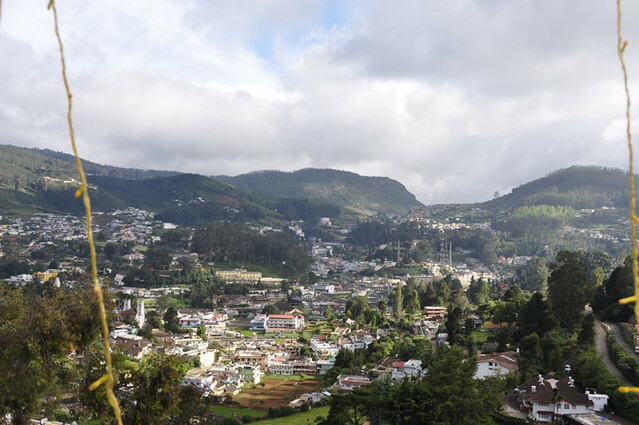 Ooty, where the air is crisp and the skies are (occasionally) blue. 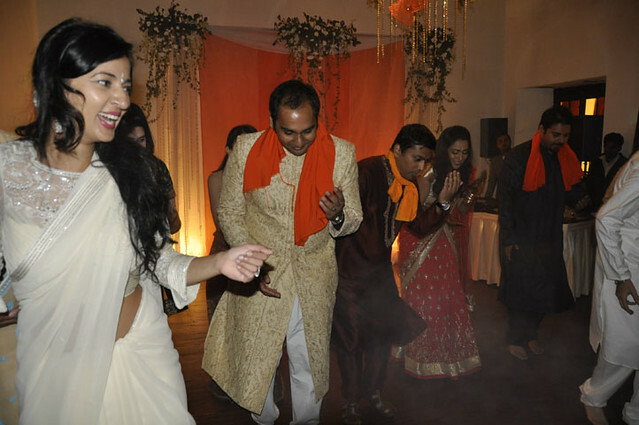 A nicely choreographed Bollywood-style dance by the bride's good friends. Bride in a beautiful white saree. 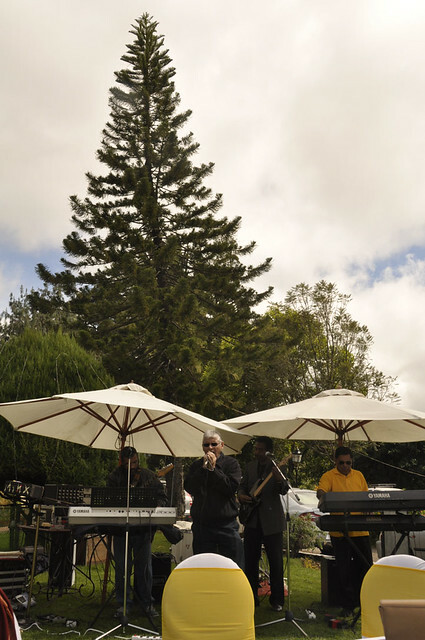 Live band at brunch. This is "A"'s dad singing a Louis Armstrong song. 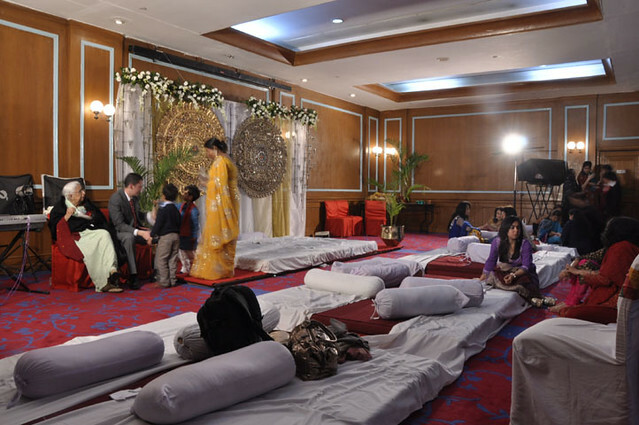 Manjha ceremony area. 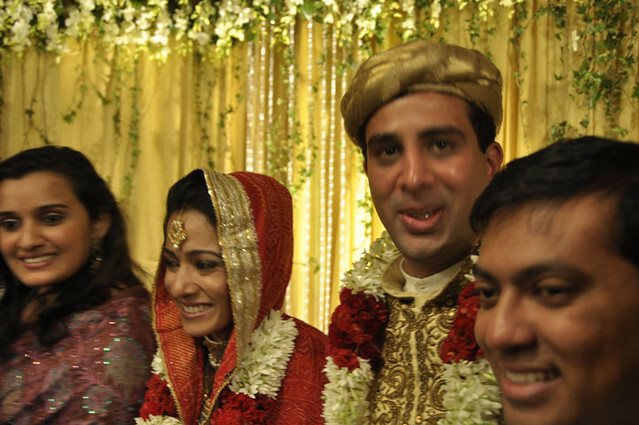 Manjha ceremony is when the bride is smeared all over with haldi (turmeric) paste usually provided by the groom's family. 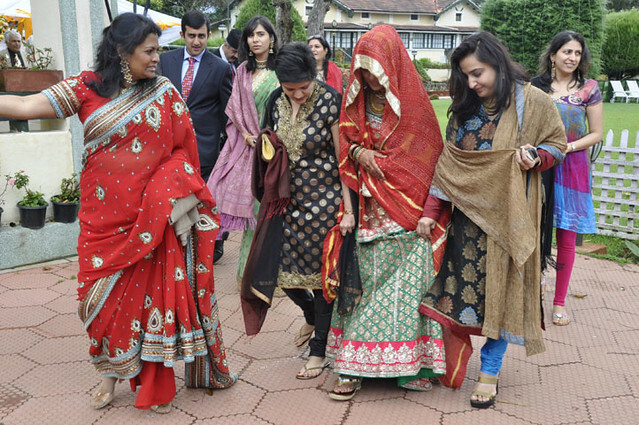 I think this is also when the bride gets all the wonderful gifts from him and his family. 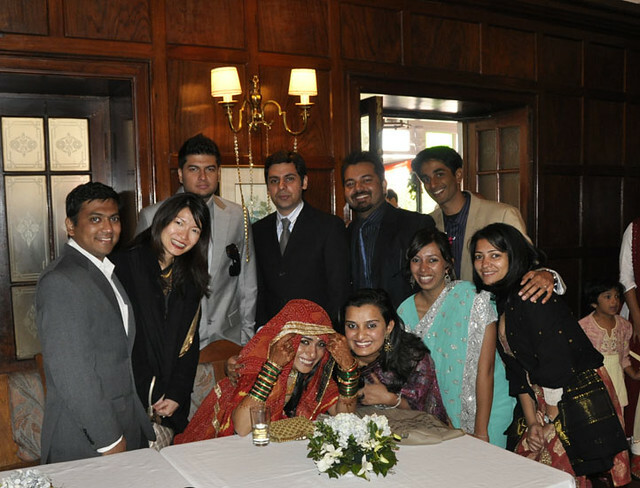 Traditionally, the women and men are to be seated separately, but we didn't do that at this wedding. 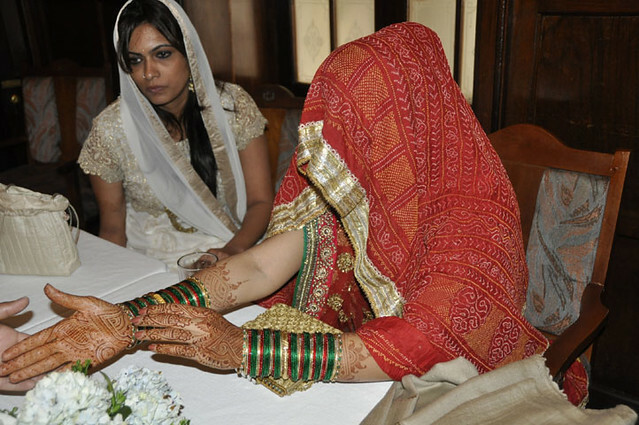 The bride has to stay under the veil until her husband unveils her. Bride taking a peek from under her veil, for a group photo. And finally, the happy newly weds. For more photographs on the wedding, click here. Note: To drive from Bangalore to Ooty, if you leave by 6 a.m, it will take about seven hours. Any later than that, with the bad traffic, your journey, like ours, will be an additional two hours or more. If you are prone to car sickness, like me, you should take a motion sickness pill before the start of your journey. 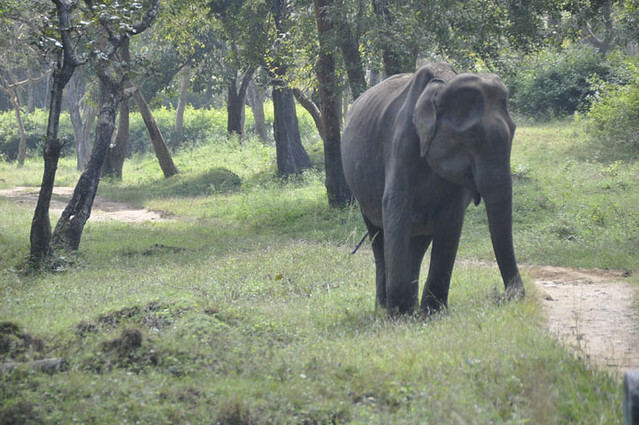 Or if time is not an issue, I highly recommend you stop and spend a night at one of the resorts in Masinagudi (a forest reserve in Tamil Nadu). If you're lucky, you might spot a wild animal or two. 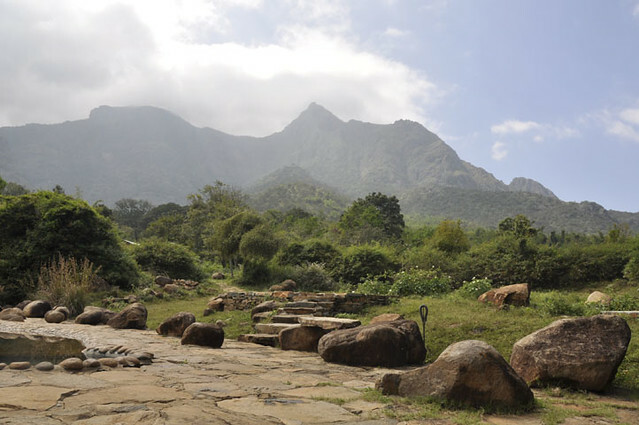 Jungle Retreat at Masinagudi. Click here for their website.